They might be small, but the brush like strips on the window frames play a very important part in making UPVC Windows energy efficient. The draught excluders run down the edges of the window openers or a built into the window frame and stop both air & water from penetrating into the house. 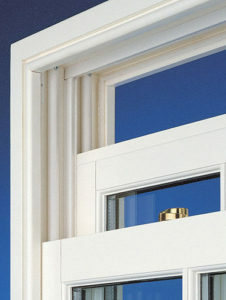 Poor quality material used here can cause a lot of trouble later on and so whatever initial cost of double glazing you have to bear, make sure the quality of both the material & workmanship are good.